Checks have played a crucial role in the development of the financial industry throughout history. They are the oldest form of payment other than cash, and checks continue to be one of the most reliable ways to pay - despite the growth of electronic payments such as credit and debit. You can expect the use of checks to remain a reliable payment option because of the impact they've had on the history of the world. The earliest forms of checks can be traced back to the beginning of the banking system itself. It's believed that the people of the Ancient Roman Empire were the first to use what could be considered a paper check. Other cultures had their own versions of checks. During the 3rd Century A.D. the Persian Empire used letters of credit known as chak. The word is referred to in a number of Arabic documents. Muslim traders used a version of a check system in the 9th century and the Knights of Templar introduced another version of checks used by Christian pilgrims taking journeys to the Holy Land or across Europe between the years 1118 and 1307. All of these check systems allowed merchants and travelers the ability to transfer large sums of money without carrying gold and silver coins with them. It is believed the first nation to widely use checks as a form of payment instead of a means of transferring funds was Holland in the late 1500s. The use of checks spread across Europe from there. England began replacing handwritten checks (or cheques as they are called in the U.K.) with printed paper forms. In 1811, the Commercial Bank of Scotland was the first to make personal checks with an account holder's name printed on the forms. Soon after - the Bank of England started binding and stitching checks together in sets of 50, 100 and 200 creating the first checkbooks. Checks made their way to America a bit later in history. It's believed the first American to use checks was a businessman who mortgaged land to a fund in 1681 and wrote checks against it. Big changes and some serious competition came about for personal checks in the modern age. In 1959, the MICR code was developed in the United States. Magnetic ink character recognition allowed financial institutions to read the routing and account numbers with machines. It is similar to the way a tape deck plays back audio from the magnetic tape on a cassette. By the early sixties, MICR codes were used on checks all over the U.S. The '50s also brought about the first charge card with the Diner's Club Card, and the first ATM or automated teller machine entered the scene in 1967. Personal checks were being used so often in the U.S. Concerns arose in the 1960s that the volume of checks in the U.S. would be too much to control. That's when ACH or Automated Clearing House payments were developed bringing about conveniences like direct deposit. Checks are still a large part of the.S. economy. A study in 1979 revealed that more than 85% of all non-cash retail payments were made by check. However, credit and debit card use increased through the 1980s and 1990s, and electronic payments as a whole outnumbered check payments for the first time in 2001 (according to the Federal Reserve). In 2004, lawmakers in Washington D.C. passed the Check Clearing Act for the 21st Century also known as Check 21. Check 21 makes it possible for banks and businesses to use digital images of checks known as a substitute check. Check 21 made check clearing and processing much faster and more efficient by eliminating the need for so many people to physically handle a check. Checks have been a big contributor to the evolution of the financial industry for the past five centuries. Current research reveals that 67% of U.S. citizen claim to write a minimum of 10 personal checks each month. These days, you can order personal checks online and even choose check designs that fit your personality. Options at Check Advantage include Nature Checks, Wildlife Checks and Fun and Games Checks. The newest payment option available to the public is mobile banking. Quite a few banks have created programs for smartphones allowing their customers to deposit checks for virtually anywhere. All a user has to do is snap a picture of the check's front and back, enter the amount and send it to their bank or credit union. Often you must have come across the term GDP growth as a barometer for economic growth of a nation. In layman terms, the higher this rate, the better the economy is believed to be performing and vice-versa. But, what is GDP? Gross Domestic Product, or GDP, is defined as all final goods and services produced in an economy in a year, measured at market prices. • Consumption:It is the total expenditure by all the consumers on the purchase of goods and services. Demand and consumption are one of the most powerful drivers of an economy, as they provide the business incentive to produce more, thereby fuelling growth through increased business activities and employment generation. • Investment: It is the sum total of all investments in capital goods and services, including housing, by the consumers and business enterprises. In growing economies, it forms an important part of GDP due to high investments in infrastructure and industrialization. • Government Spending: Unlike what the name suggests, it includes both expenditure and investments by the Government. • Net Exports: This component is the net of exports and import in the country for the year under study. High net exports is a healthy sign, as it helps in driving business activity on the back of demand, over and above the domestic one, earning valuable foreign exchange and enhancing money supply. It is the end of the day, is yet another industry. Hence, it follows that money makes a big presence in this industry and the lack of which, will clearly affect the industry. High profile designers are constantly looking out for emerging and profitable markets. A city that might be considered as the hot seat today might immediately lose face tomorrow if the economy can't keep up with the industry. In this industry, nothing is considered to be a "copy". Designs and styles tend to be inspired, and not copied directly. Hence, with the global fashion industry, the fact that outside styles and designs are bound to influence less important fashion industry magazines cannot be neglected. This is an industry that thrives to remain familiar with differences. External influences are an everyday occurrence and cannot be neglected. People are bound to try and change the way things are, but eventually, the best style will be that of the more powerful industry. Thus, one can actually assume the global fashion industry to be more of a united industry. Much of the factors that influence the global industry are normally those that emerge from familiar industries. These are the things that are worth noticing for and essentially dictate how the industry tends to be. Not only does this industry change regularly, it actually is a requirement that it change as often as possible. This is something that needs to be taken into consideration when analyzing from a global perspective. The online school is a particular advantage for the working adult who cannot forfeit current employment to conform to the demands of a traditional college. Online Sociology Schools, colleges, and universities provide the study of social behavior and interaction of social groups and organizations. Courses in online sociology programs will introduce students to the principles and methods of studying the behavioral sciences in various settings. Online sociology studies will teach methods of identification and analysis of social structures, social patterns, and difficulties that develop in social organizations. The study of sociology will include examination aspects of social development, as well as applications of knowledge gained from these studies. Sociology includes the study of mechanisms of social functions, including hierarchies, class structures, and social inequities. Subjects of demographics, criminal behavior, politics, familial group behavior, entire communities, as well as global societies may be addressed in online sociology courses. Bachelor degrees provided by online sociology colleges require studies of general Liberal Arts courses, as well as concentrations in the study of social theory and social research methodologies. Students may choose concentrations in psychology, criminology, or education in their online sociology programs of study to prepare for positions in clinical, educational, industrial, and law enforcement settings. Sociology Online Schools will develop insights and understanding of the many social problems related to hierarchies, racism, sexism, homophobia, and environmental decay. Sociology distance learning courses develop skills for data analysis, social research, evaluation of agendas, and management of organizations, and skills applicable to entry-level positions in business and government. If you are a parent of a child, who has just been assigned a science project, or you are a student yourself and you have a science fair project to complete and don't know where to start, then you're in the right place! Here you will find plenty of biology experiment ideas, along with links to further resources. Science is a fascinating subject, though it's easy to see why it might seem daunting at first. With good preparation and an understanding of biology, your science experiment can be a huge success and a source of pride. So you've been assigned to do a biology experiment, but have no idea where to start. Not to worry! Begin by making a list of your interests. Are you fascinated by animals, or animal behavior? Maybe the human body seems more interesting, since it's something you're the most familiar with. Or, perhaps plants seem mysterious to you. The point is to explore something that makes you curious. Once you have a broad idea of what topic you would like to explore, try to narrow it down a bit more. If your curiosity is peaked by taste, try an experiment involving the "taste map" of different individuals. Some people taste sweet items more intensely in one area of the tongue than on others. This is also true of sour, bitter and salty items. For those who are intrigued by plants, you can compare plant growth by a variety of factors. Some ideas might be soil pH, or by the amount of water the plant is given. If you've chosen a complex experiment, but only have a few days, you might be better off with something simpler. No matter what you choose, there are hundreds of great biology experiment ideas available. There are resources compiled by this author that give great options for every age and for various types of project level. In the recent past, human pheromones have been crowned as one of the most effective sexual attraction tools. The biggest question on many people's minds is whether or not humans can actually pass messages using chemical signals. The straightforward answer to that is yes, humans can do that. One of the oldest lines of evidence is that of the synchrony of menstruation cycles in ladies who are continually in each other's presence. For a long time, this was considered a myth or the product of a set of coincidences. In the same way, recent research has pointed to the ability of various components of male sweat to influence hormonal balance in females. For instance, Androstadienone was proven to raise the level of cortisol in female subjects. The conclusion from this study was that human pheromones also communicate. On this basis, cologne manufacturers sought to find out ways in which this can be used to the advantage of their clients. It was based on a simple line of reasoning to this effect: if for centuries, animals have used the secretion of pheromones to attract partners, humans have too. And the level of impact they make can be greatly enhanced by capitalizing on the strongest players in the domain to come up with that perfect female-magnet scent. The result of their labor is a variety of scents that are aimed at exerting an influence on the appeal of a wearer. Another result is that because of the high demand for these revolutionary products, there are so many scam artists selling counterfeit products while making the same claim. Since most people would like to be considered attractive and appealing, the secret to making the best of this provision is by establishing the reputation of the manufacturer of choice. This will serve as a protection against fraud. We are all pretty sure we know what force is. Gravity, for instance, is a force and gravity needs no further explanation. Newon was the first scientist to state the law of gravity in mathematical terms and for many years we thought that this was the final answer to what the law of gravity really is. Then cam Einstein, who found that Newton's law was only a good first approximation. Einstein's relativity concepts gave us a more accurate computation, which has been proved many times to give the correct answers for orbital and space trajectories. By this time, therefore, we should feel reasonably certain that at least we know the answer to how gravity affects massive bodies, so that we can predict any result. Soon after wards, it was noticed that their velocities deviated from those predicted by Einstein. It seemed as though an unknown force, emanating from the sun, slowed them down. To add to the mystery, another anomaly was discovered with several spacecraft when they were sent round the earth in what is called a slingshot maneuver, to pick up speed before going on to various space missions. This time, they picked up more speed than they should have, only four millimeters per second, but easily measured. Of course, in both cases, all sorts of precautions were taken to eliminate errors due to faulty instruments, inaccurate measurements or any other extraneous factors that would have allowed existing theories to remain intact. It seems that we might need another bored young patent clerk doodling on a piece of paper, another Einstein to astound us by finally explaining a very enduring mystery. And this would just be the mathematics that predicts motions of bodies under the influence of gravity. 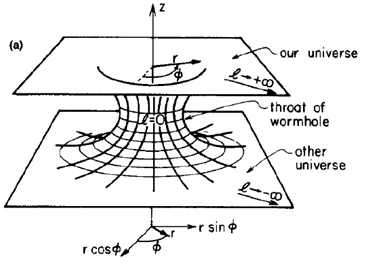 It would not explain what a force such as gravity actually is, or how it is transmitted. When we see a body falling to the ground under the influence of gravity, what we see is the body, not the force. We can turn for enlightenment to his first law, as given in the Principia Mathematica: "Every body continues in its state of rest or of uniform motion in a right line, unless it is compelled to change that state by a force impressed on it." In order to find out what Newton meant by "impressed force" , his Definitions must be consulted. Definition IV states: "An impressed force is an action exerted on a body in order to change its state, either of rest or of uniform motion in a straight line." Here, the definition is saying exactly the same thing (only the other way round) as the law itself. But the law should have been the result of repeated observations, confirmed and proved by experiments, as laid down by Galileo, not a restatement of the definition. It is clear that the difficulty lies with the definition, not the law. It tries to define what a force is by describing its effect on a body. Before Newton, many thinkers had tried to define what gravity actually was, from magnetism to circular inertia to Kepler's idea of sweeping, broom-like arms from the sun and Descartes' vortices in a universal ether. Newton avoided this entire quicksand of speculation by concentrating on finding a mathematically expressed law that would fit the observed facts. But this did not enable him to answer two crucial questions: what was gravity (or any other force) and how (or in what medium) was this force transmitted? Newton was especially puzzled by the latter question. If the earth and the other planets are made to go round the sun by the force of gravity, what transmits this force? There is no physical transmitter between the bodies of the sun and the earth. During his entire life, Newton could find no satisfactory solution to this problem of action-at-a-distance. Einstein, in his treatment of gravity in the general theory of relativity, included a fourth dimension in his explanation of how the force of gravity functions. Put very briefly, he suggested that the earth's motion in this four-dimensional continuum was actually in a straight line. In our world of three space dimensions, this motion appears to be curved. When quantum mechanics was developed quanta, or discrete particles, became involved in everything, even in forces. Quantum theory is very careful not to say that the force of gravity (for instance) consists of its particles, the graviton: it merely suggests that this force is transmitted by the particles. These are weightless and must be imagined as a constant stream between two bodies under gravitational attraction, going at no more than the speed of light. The concept of force particles is more complex than these comments have suggested. For example, force particles are considered to be "virtual" particles, because they cannot be detected directly by a particle detector, as against "real" particles which can. However, theory indicates that gravitons, for example, can also exist in the "real" form - in which case they must be thought of as waves. Gravitational waves are so weak, however, that they have never yet been detected. All this will show that even today, we have very little idea of what a force actually is and even its transmission is subject to a lively debate. Further discussion of this subject may be found in Galileo's Shadow, including the way the Higgs Field concept can be brought to bear on the controversy of what a force actually is. For those adventurous souls out there who try to plumb the depths of more advanced mathematics, I certainly give you credit for your efforts. Studying advanced mathematics can be very humbling, to say the least. You feel good about yourself because you think you are smart, and then you read something on advanced mathematics and you realize how little you understand. The sad thing is though, it may not be that you and I are not bright enough but that the teachers and writers of this particular subject fail terriby at what they do. Because I love a challenge, I decided to make my major mathematics in college. This was by no means my strongest subject. English and foreign languages certainly came very easily to me and could have been slam-dunk choices as majors. I probably would have suffered a lot less than I did from studying things like advanced calculus, real and complex analysis, mathematical statistics and set theory. This study was further compounded by professors who, for the most part, failed to elucidate the subject matter. Consequently, I got my degree, although with not perfect grades, good grades, and am certainly proud of my accomplishment. The irony in all this is that after all that suffering, I now relish the subject and have written extensively on many facets of this discipline. What I have found in my study of mathematics, particularly advanced mathematics, is that there are so few good teachers of it. When I was a graduate student - yes I actually decided to punish myself more by studying this subject at the graduate level - I remember sitting in my complex analysis course, listening to my Indian professor go off on tangents about exotic realms of this subject. The purpose of going to school and attending lectures or classes is to ask questions and learn. Material should be presented in a way so that students, willing to put in the time and effort, should understand - at least at a superficial level. What I found from most of the lectures I attended and most of the textbooks I used is that I understood very little - if anything. One could say that I could not discern the forest from the trees; but the real truth is that I could not discern even one tree from another. How sad. When I try to plumb the depths of advanced mathematics I encounter the same outdated, stale, methods of pedagogy that just do not serve. 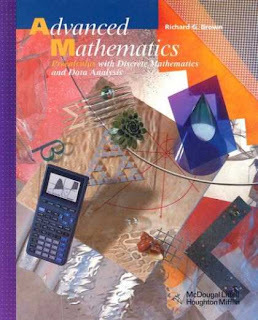 Why can't anyone produce books on advanced mathematics, or even articles on the subject, so that willing learners like me or you, could understand? Certainly the men who understand this subject are smart enough to be able to do this, no? Then again, there might be an agenda: that of not letting too many into this select circle of prominent mystique. This is much like the master karate instructor's inner circle of disciples. These masters are not too quick to teach their secret methods, which took a lifetime to acquire and understand, to some neophyte, until that person has proven his loyalty, and even sanity. Indeed you would not want such killer techniques in the wrong person's hands. Such easy dissemination of enlightenment might serve a purpose in the martial arts, yet I argue that such in a discipline as advanced mathematics should be freely available. Even with my background and experience, I find it enormously frustrating that I cannot teach myself to master the theory of, let us say, partial differential equations, because there is not one book that tries to teach this subject without quickly throwing the student into the forest without a roadmap. Yes I know that the subject is comprehensive and depends on other branches of mathematics, and that if the author were to break everything down, the book might have to be three thousand pages; yet the alternative is that very little if anything is learned by the student, and thus the realm of advanced mathematics remains untouched but by a select few, leaving out many potential bright students, who perhaps, before being daunted and quitting the pursuit of such subject, would make great contributions to the subject and even world. After all, mathematics is the language of the universe, and a comprehensive understanding of this subject can lead to all kinds of useful applications. Thus I scream, "Can anyone please help!" I want to be able to learn Einsteinian mathematics and all about tensors. Could someone please break this down so that a person with my intelligence might glimpse this awesome domain. Alas. No one answers; and therefore, I have to be content to trudge through such readings with the labors of childbirth. But I stay hopeful that one day this might change. 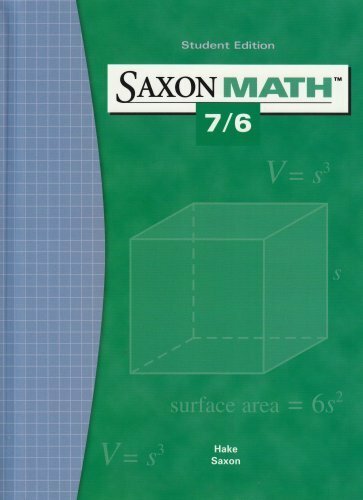 John Saxon developed the Saxon Math Home Learning System in the 1970s. 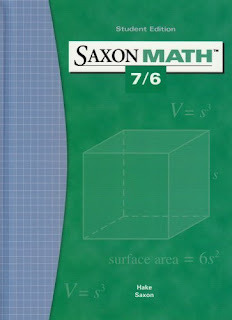 Since then, Saxon math has become very popular with home schooling students and teachers. There are a few basic principles around which this program has been developed. These principles are; incremental teaching, collective evaluation, practice and review. The incremental teaching method means that the student will learn a new principle of math everyday. For example, the student will learn a new principle of algebra or geometry and will then practice it till it is well understood. This approach was criticized initially by the parents, teachers and students, as they felt that it was too fast paced, and all students cannot grasp a new concept everyday and you could not expect them to master it by the end of the session. The evaluation process involves checking what the student has learned in a session and also if he or she has fully grasped the new concept and understood its usage. For practice, there are workbooks with questions that the students have to practice in order to ensure that they are clear about the lesson that they have been taught. Reviewing what is taught and what has been understood forms the basic principle of a good teaching system, and this is what Saxon math strives to achieve. Every child does not have the same learning power, and when a program like Saxon math is offered, it is expected that the course will cater for the students who are not very fond of learning math and take time to develop these learning skills. Because this program is not limited to one country or region and is being used worldwide, the team at this program has modified the program to make it easier and interesting for the children to learn and for the teachers to teach. Every parent is not skilled at teaching math and therefore, this program has taken this also into account. Saxon math uses the incremental learning approach, but it makes it interesting for the children to learn and understand why they need to learn a certain principle of math. By making it interesting and easy to understand and then practicing what they have learned till it is ingrained in the minds of the students is what the basic principle of this program rests upon. That is the reason for its popularity and its adoption by a number of schools and parents. School teachers have also found using Saxon math to teach math to the students as a sound and constructive approach. Another unique approach of this program is that the terminology used is quite simple to understand for both the teachers and students. There is no burden or worry of having to learn new algorithms or terminology to teach math. Speaking English fluently is the aim of many English learners. By having successful communication it means you have conveyed your ideas and thoughts clearly and effectively. As I grew up I realized that good English is the main hazard that is faced by large number of students and people. For those who do not get good environment for learning English, they need to work hard to achieve this capability. I had seen many people improve who were not able to speak even a single sentence in English. These people turned themselves to be excellent speakers by their hard work and dedication to excel. If you really want to improve your spoken English skills, then you need to find out the areas of improvement, and the areas where you make mistakes. Try to figure out the areas where you make mistakes while speaking. 1. Unable to handle being focus of attention:- It's very hard for some people to stay calm while speaking in English in front of others. 2. Fear of reputation getting damaged:- This is a major issue which causes people to stay silent or not speak anything. The result is further damage to our self respect. 3. Unable to express ideas:- Many people know what they want to say, but are unable to convert it into sentences. The conversion of ideas to sentences is blocked because of lack of spoken English skills. Some question came to us totally unexpected by the listeners. This causes the speaker to get speechless. There are many more factors which contribute to our lack of spoken English skills. Once we are aware of our areas of mistake, then we need to work for minimizing the effect of those mistakes. 1. Speak In English:- Don't be afraid of people laughing at you. You need to speak in English in order to improve it. How can you learn to drive a car without actually driving it? 2. Keep a dictionary:- It often helps to improve vocabulary. 3. Record your voice and listen again:- A very helpful technique to Improve Spoken English. It helps to become aware of the mistakes in our speech. 4. Avoid using same word again and again:- It creates an impression of limited vocabulary. Try to use different words while speaking the same sentence again. 5. Speak slowly:- A very essential tip for improving communication skill. Just observe how most of the politicians speak very slowly, and still they are the best speakers. Atal Bihari Vajpayee an Indian politician(11th Prime Minister of India) is famous for his slow speaking skills. 6. Don't be shy to ask for help:- Asking for help is a sign of strength and not weakness. Ask for help from your teachers, friends, parents, etc., whenever required. 7. Be a good listener:- Listening good English helps to tune our mind for speaking better English. It helps in getting the right pronunciation of words, how the sentences are said, stopping or pausing at the punctuations, etc. 8. Make a sentence from any new word you learn:- Whenever you learn a new word, try to form a sentence using that word. It helps to better remember that word, moreover it is beneficial in understanding the usage of that word in sentences. 9. Think in English:- This is easily said than done. It's a hard process to change the thinking process from native language to English and requires some time to improve. The thinking process can be modified by consistently talking to yourself in English, reading lots of quality English material, getting used to English language as our mother tongue. 10. Don't be afraid to make mistakes:- No one can learn without making mistakes. Take your chances, speak with people in English. Don't worry if you make some mistake. Remember your mistakes and try to improve them next time. The improvement will come slowly, so don't panic if you do not see the results instantaneously. Be consistent with your approach and you will succeed. Remember that even a child falls so many times before learning to walk. Your spoken English will definitely improve. Visit How to Improve Spoken English for more information on the same. Visit Improve Spoken English for a plethora of material to Improve Spoken English. Bali: Every ones loves to come to Bali for shopping. Visitors frequently take cheap flights to Indonesia with any Travel Company of their choice. Shops are open from early morning till late hours. Price hike is not a big problem here as bargaining is a common practice here. State-of-the-art shopping centers you will be able to visit after taking flights to Indonesia include; Kuta Beach Shopping, Legian Beach Shopping, Nusa Dua Beach Shopping, Candidasa Beach Shopping, Seminyak Beach Shopping, and Ubud Shopping. 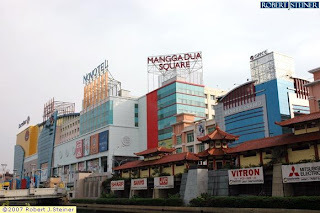 Jakarta Shopping: Jakarta is the largest and capital city of the country. It is also entertainment Mecca of the country. It boasts Indonesia's best shopping malls. After Indonesia flights visit to Jakarta is a must. It is a best place to buy Electronics items, Branded items, handicrafts, antiques, and boutique clothes. World class shopping malls at Jakarta you will be shopping at after your Indonesia flights include; Glodok Plaza, Elite Plaza Indonesia, Plaza EX, The Plaza Semanggi, Taman Anggrek Mall, Kelapa Gading Mall, and WTC Mangga Dua. Lombok Island Shopping: Lombok's shopping potential is one of the major attractors of cheap flights to Indonesia. The best items to buy at Lombok Island include; Fabrics and textiles, Pottery and Figurines, Jewellry, and Furniture. Visitors reserve cheap flights to Indonesia from UK with their trust worthy Travel Company to visit some of its shopping malls including; Pujasera Shopping & Market, Pasar Oleh Oleh, Tanjung Uban, Tanjung Pinang, and Bintan Ferry Terminal. How to study for the SAT Test is a question asked by many high school students. With the endless amounts of books, courses, and classes available no wonder why students don't know how to approach studying for the SAT Test. However, I will give you a few tips on how to study for the SAT. 1. The best way to study for the SAT is to take practice tests. You can do this a section at a time or take full 4-hour tests at once. It goes by your preference but this is the most important SAT tip you will ever hear. 2. Also, you must remember that after taking tests you MUST review them! You will not improve if you take test after test but never spend time to see what you got wrong and right. You MUST review all Wrong Answers and I recommend reviewing Right Answers too but that is not as important. After you see what types of answers you are getting Wrong, you will be able to get those same ones right in the future by reviewing the correct answers. 3. When you are studying, study the major Grammar, Writing, and Reading concepts that are tested. Remember that it is a standardized test so every test has to utilize the same concepts. 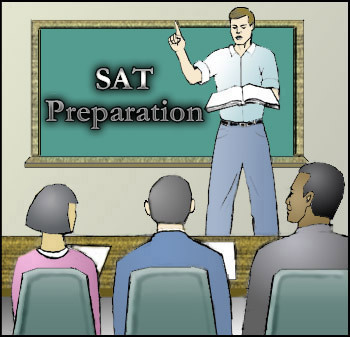 Once you realize this THAT ALL SAT TESTS ARE THE SAME, you are on the way to a great SAT score. They are not exactly the same (word for word) but the same exact concepts and standardized answer choices are used. Use this to your advantage! These three tips should be the framework for your plan when you are wondering how you will study for the SAT Test.